Paul Di Resta has settled Anthony Hamilton’s claim for wrongful dismissal prior to the judge giving his verdict. Di Resta has not been reported to be in a girlfriend relationship for quite some time. It appears the settlement may have been moved along because Di Resta could have been guilty of ‘entrapment’ following him recording in secret a meeting with his manager Hamilton. “I didn’t know it was illegal at the time,” Di Resta told the court. Lotus enjoyed a trouble-free track debut with its 2014 car, the E22, at Jerez. Earlier rumours suggested the Enstone team had struck the same sort of Renault-powered trouble that left the French engine supplier’s grandee partner, Red Bull, with only a handful of laps of running at the official Jerez test recently. Now, it emerges that while the E22’s Friday debut late last week amounted to a mere 1 lap, the new Lotus in fact completed 100 kilometres the following day – the maximum amount of mileage allowed for ‘filming’ test purposes. The team did not release any detailed information, but a spokesman told Germany’s Auto Motor und Sport that both the car and the Renault V6 ran successfully without any major problems. Team owner Gerard Lopez told France’s Infosport Plus: “We were very well prepared. No problems, no overheating, nothing — the car ran like clockwork, which was quite surprising when you look at what happened at Jerez the first time. “We are ready to go to Bahrain and start running in the first hour,” he added. Renault also suggested that its tweaks since the Jerez calamity seemed to have borne fruit, saying officially that the Lotus ran “without any reliability problems“. Continuing they said, “Updates developed in the dyno at Viry during and post Jerez test were run,” adding that preparations for the next official test in Bahrain “are ongoing“. Renault’s use of the Lotus ‘filming’ day to fix its problems would seem to breach the regulations, but the marque insisted it merely “validated” fixes that were developed at the factory. “As usual, everyone is committed to providing performance and reliability required for normal PU (power unit) operation and a fully competitive 2014 season,” said Renault. Gerard Lopez, the Lotus team owner, has played down suggestions the Enstone squad is still grappling with financial problems. The team’s problems of late last year, when Kimi Raikkonen went unpaid and crucial negotiations with the Quantum group faltered, are well known. But Lopez said that the decision not to test the new car at Jerez recently is not because Lotus had no money. “We said that there would be some (technical) trouble and it was actually the case,” the Luxembourger, referring to the Red Bull-Renault crisis, told France’s Infosport Plus. “I know we had a lot of criticism, people said we lack the budget but that is wrong because it cost us the same to go (to Jerez) a week later,” Lopez insisted. Lotus gave its new E22 a successful rollout at Jerez on Saturday, a week after the other Renault powered teams, notably world champions Red Bull, faltered so badly. “Maybe we are better prepared,” said Lopez. “Maybe our strategy to wait and work at the factory was the better one. With one leaving and another joining, two well-known F1 names have given their view about the once-great British team Williams. Arriving at Grove is the long-time Ferrari driver Felipe Massa, who told Brazilian television Rede Globo: “I’m very happy. 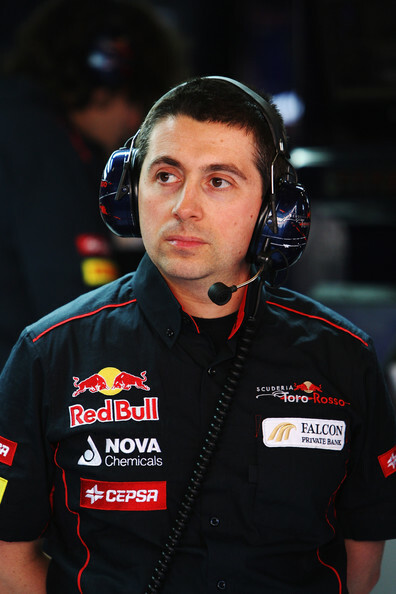 With similar reasoning for departing Williams, however, is Xevi Pujolar, a long-serving engineer who has quit the team to join Toro Rosso. “Last year,” he told Spain’s El Confidencial, “the situation was quite difficult and Williams did not feel right. So I decided to change. Spaniard Pujolar, 40, said part of the problem at Williams was its difficulty in adapting from life at the very front of the grid. “You have to accept that times are changing and make different plans and accept that you’re not world champion anymore. Mark Webber has been out of the news for quite some time, yet his head appears above the parapet for a 2nd time in 2 days. Speaking to Motor Sport magazine he believes his countryman and replacement at Red Bull, will push Vettel hard. Bold words from Webber one may suggests, still no one will be holding him to account over this come the end of the year, so why not indulge in some mind games against your former nemesis? Yet Webber believes there are reasons why Daniel will be closer to Vettel than the bookies and most people think. Webber’s comments infer that much of Vettel’s advantage under the former regulations were because he best learned to drive in a counter intuitive manner – accelerating when you should be braking. This gave him superiority in slow corners and all this was necessary to extract the most from the car due to Newey’s ‘blown floor’ designs. Whilst we wouldn’t want to criticise the dearly departed Mark, Vettel’s recent dominance in part is due to another characteristic which made the German 4 times world champion. His dedication to learn and Newey recently commented that Sebastian’s aptitude levels were as high as any he’d seen. The there is the obsessiveness to leave no stone unturned when trying to understand how best to drive the cars. The whole new resource deployment decisions the drivers will have to make, together with race strategy and engine differentials, should mean this learning curve is one that will be long and not just some 5 races. Regardless, whatever the length of time it takes to understand the 2014 F1 rocket ships, you still can’t back anyone other than Vettel to get there faster – unless of course ‘fatherhood’ has enticed him to dangle his procreative organs ain the swimming pool..
By Abu Dhabi, we’ll know whether the frailties of the French engine or Newey’s obsession with a tight ‘rear end’ will have been a mountain too far for Sebastian to climb and win his 5th championship. I suspect what in fact 2014 will reveal is how good Mark Webber was, and we’ll see Ricciardo struggling to keep up with his German co-driver who already has the team and those back at the factory in his pocket – good style. (Oh I’d forgotten how the words flow when writing about Mark……….. I think we should have a Mark Webber week TJ13 writers – what do you think?). In fact whilst on the topic of inter-team rivalry, late one day last week, we published the team battles, but many of you may have missed them. So here they are, and who will beat who? We have a couple of famous pundits to get the debate going. On leaving the team Felipe complimented his Spanish co-driver stating, “Fernando combines talent with brains. He really is clever, and that is what you need for rule changes as drastic as these”. Personally, I think Fernando will become the team’s number one driver, if he isn’t already. TJ13 reported prior to Christmas Il Padrino inferred this when dining with journalists in Maranello. 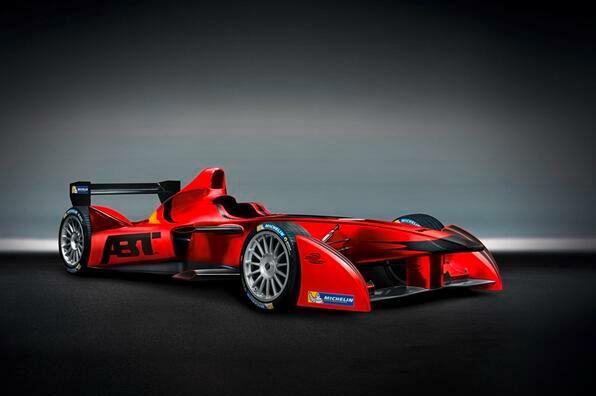 TJ13 recently reported Formula E have come up with a wheeze to keep the bandwagon of announcements coming. Having revealed the 10 locations, the technical partners and then the complete list of entrants, it appeared that the PR calendar for the new series had run dry. Formula E expected regular announcements on drivers being signed, though the teams appear to be taking their time over this. Last month, Formula E decided to inaugurate a drivers club for their sport. “The new scheme features a pool of top, international names that all officially endorse the new FIA Formula E Championship and have expressed a willingness to race in the future”. Of the first eight names to be announced last month, Switzerland’s Sebastien Buemi, Indian driver Karun Chandhok, Italy’s Vitantonio Liuzzi, Lucas di Grassi from Brazil and Japanese driver Takuma Sato have all previously raced in Formula One, while China’s Ma Qing Hua has been a test driver for both HRT and Caterham F1. The remaining names were USA racer Marco Andretti – grandson of the legendary Mario Andretti – who is one of IndyCar’s top drivers finishing fifth last season and Frenchman Adrien Tambay who has raced in Formula 3, GP3, Formula Renault 3.5 and more recently DTM. The most recent to join the club and bring the number of participants to 16 are, Bruno Senna, Sébastien Bourdais, Oriol Servia, Daniel Abt, Narain Karthikeyan, Christijan Albers, Franck Montagny & John R. Hildebrand Jr. These announcements are all very well and good, but they are in reality an international beauty pageant where the contestants do not have to strut their stuff in swimwear or wax every inch imaginable. It is a parade of wannabe drivers, who are committed to the cause and give Formula E some PR to keep the new series in the news. Being part of this club does not guarantee a driver will be selected by a team to drive in the Formula E inaugural series. With five titles to its credit in the DTM series alone ABT Sportsline is one of the most successful German teams, which has also achieved victories and titles in GT and endurance racing. Led by Team Principal Hans-Jürgen Abt, the squad is located in Germany’s Allgäu region, and will compete under the name of Audi Sport ABT Formula E Team – which is based on the name used in its successful commitment as an Audi factory team in the popular international touring car series DTM. V8 Supercars have adopted the formula one-style double-points decider add spice to the major support races at next month’s Australian Grand Prix. The final of four V8 races at the Albert Park street circuit from March 14-16 will be worth twice as many points as an added incentive to drivers. This is exactly the format which has been proposed for the last round of this year’s F1 calendar at the Abu Dhabi GP. Double points is catching as the SoutherXC bike race series will be awarding double points in their final round this year. For some reason the world and his dog are writing it up today??? What probably is new, is that Damon now uses Wimbledon as an example of how the longer a tournament progresses, the more important the events become. “If you go to Wimbledon and you are in a knock-out competition it then gets more crucial and more important the closer you get to the final – and the final is worth a lot more points than the first round,” Hill tells SKY. Yet this is a flawed analogy, simply because he is comparing a knockout tournament with one where all the competitors compete in each round an accumulate points for a final table of results. Hey ho, and I thought Damon was one of Sky’s better pundits. Maybe double points is Ecclestone’s stalking horse for double fee’s – promoter, TV and attendance…. Having finally arrived in Jerez with more than 2 days testing complete, Marussia are getting ahead of the game that will see them once again do battle with fellow 2010 entrants Caterham. The Russian owned team beat their fellow ‘back of the fielders’ in 2013 and are bullish and on the front foot for 2014. They have a Ferrari engine which by all accounts is a fair way ahead of Caterham’s Renault powertrain. Though to be fair, of the Renault runners at the first winter test, Caterham managed to put in the most laps. Today the team announce through their Facebook page, “The sun is shining at our Technical Centre as the big Bahrain-Australia pack-up begins. The cars won’t see the factory for quite a while now!”. Its all change for this year, as cars will leave the UK and not return for many weeks after just 4 days testing in Jerez. This creates new challenges for the logistics teams and those producing daily new components back at base. Red Bull for the first time had a charter jet available for the Jerez test as historically teams ship additional components out with staff on commercial airlines. However, the charter company made little more than their retainer from the world champions, as it was clear from day 1 there would be not much track time for the RB10. The Faenza based team has ended the contract with Luca Furbatto, their chief designer, with immediate effect. The Turin born engineer worked on the new STR9 in close collaboration with Technical Director James Key. Furbatto started his F1 career in 1998 with Tyrell, then worked for British American Racing and played an important role at McLaren from 2000 to 2011 and was hired by Scuderia Torro Rosso in December 2011. It’s not yet clear whether this was a unilateral decision or that they have both agreed on the separation. What is clear is that, at the start of such a complex season as 2014, the Faenza team’s technical department has been severely weakened by losing one of their key players, something that could serious affect the development of the STR9. Could this be as a result of an internal power struggle between Furbatto and James Key or has he received offers from another team busy rebuilding their technical department? One could say that Lopez’ statement in itself is a breach of the sporting regulations. Obviously Lotus was in full compliance with the SR, but it’s interesting that they say it cost the same as going to last week’s test. 100km at Jerez equals 22 laps. So they did 1 lap one day, then 22 laps the next day. Expensive, but they will accomplish more at Bahrain now because of this. The big story seems to be the power unit, and what Renault said about it. It apparently ran better, and Renault fixed the embarrassing problem of their dyno being incorrectly programmed / validated (which apparently caused much of the grief during the tests last week), plus some minor s/w and h/w updates. When I think of the word “ToXic”, I think of Paul di Resta. Funny that…I think of a black and gold and a bit of red car I’ve seen on-screen competing at F1 circuits around the globe. Has Gen.. something on the flanks…..? Pretends to be a Lotus, I think. You associate lotus w/ “toxic” or PdR w/ Lotus? It was. Specifically to find out whether the Renault package could keep mobile for 100km at a reduced load. It did….appparently. What purpose did this above line have in the article re: Di Resta? It’s not a GMM article, it’s your reporting. I am curious as to why that has bearing? I think you reveal your intentions here. The Mika Häkkinen comment seems to be a late reposting of what Mika Häkkinen wrote in his column in the Finnish daily Ilta-Sanomat around Jan 17th, which was widely reported at the time. That is not news. The Renault & Lotus story was reported by Autosport yesterday …. Any chance of some positive words or is the glass always half empty? Earlier the Häkkinen reference included “Marca reports”, or something to that effect, which it did abt. 3 weeks after the fact. Now TJ had edited the language, and it refers to Häkkinen’s comment without implying news. Correct! I’m voting for February to be renamed Webuary. This should ensure at least one story a day on @aussiegrit. What about it TJ, you know it makes sense!! 3 – To have Webber saying you’re going to do well, is the kiss of death…! 3- Meh… I notice Riccismildo (just invented it) tries to distance himself from Webber in interviews. Smart boy. Pity about the hips. … can I enquire to the meaning of the euphemism ‘Meh’ ? Imagine a teenage turning up one end of his lip and shrugging his shoulders. It’s not strictly a euphemism – which is a ‘nice’ word for something unpleasant. Maybe ‘Meh’ is more onamatapeic… Just my 2p. How do you propose to hold him to account while simultaneously forgetting him ? And so we come full circle to danilo’s original suggestion…? It’s been years since I drove into Gotham City’s underworld to get my ‘medication’. Have Catherham discovered a more efficient method of delivering downforce? …or has Newey’s tight packaging of the car gone too far this time? 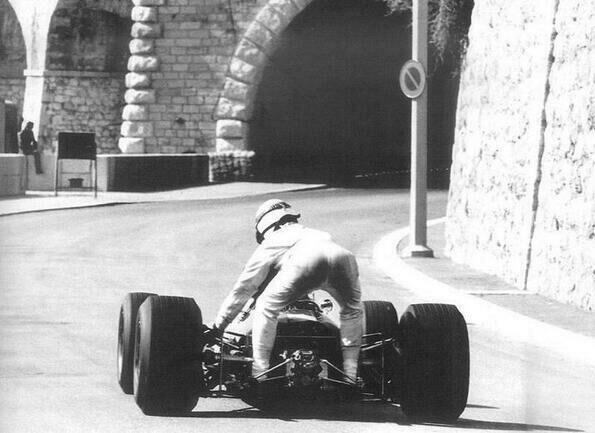 It’s Graham Hill giving a lift to his former team mate Sir Jock at Monaco (obviously). But wasn’t Mario the legendary Andretti? I am happy for him that he is being very successful as a large team owner and event promoter. In reply to titan – WHHHHAAAATTTTTTTT!!!!!!!!!!!!!!!! Michael Andretti coming to grips with Senna. My man, I have just snorted f*****g espresso through my nose as I sipped whilst reading. Thank god it only comes in small measures! I loved the caption comp….bring it back plz. Slight update on the V8Supercar story. They’ll have two races Saturday and two races Sundae as support to the circus at Albert Park. Second of the Sunday races is worth double. Different series, different hemisphere – still lame. Also claiming a ‘world first’ for any unique / indigenous undertaking is just plain embarrassing. I don’t mind watching the tupperware taxis but their marketing is cringeworthy most often. Further, the GP round has never be part of the championship points: It’s basically a multi-race test round with a cash prize at the end. Can’t find anywhere to say it has changed for 2014, but please correct me if I’m wrong. It would appear that the ” double points ” race ONLY – will be part of the championship. In a unique tie-in with Formula One in 2014, the final race of the weekend will be worth double points, just like the final race of the 2014 FIA Formula One World Championship™ in Abu Dhabi. Drivers won’t have a chance to relax in any of the first three races, with a rolling points system deciding the starting grid for each subsequent race. I’m still fairly sure the double points counts only towards the weekend’s score, not the championship. This is mainly because Channel 10 (Aussie free-to-air TV) have exclusive rights at Albert Park and Grands Prix, while Channel 7 (FTA again) have exclusive rights to the entire V8SC Championship. So, as C7 can’t broadcast this round, Supercars go there for exposure, but don’t race for championship points. Maybe it will change in 2015: C10 has bought the rights to Supercars, shared with Fox Sports. But until then I doubt it! If Webber ever goes missing, I’m forwarding this site to the authorities. You don’t have a dungeon do you? … I have explained this in the past, Mrs. Judge is a huge Webber fan and at times she dons the gown and wig, skins a goat and attaches its hairy flesh to her arms to fake masculinity…. yeah, yeah, blame it on the missus. And you just stand there… and let her get on with it…? Tell the Usher you need a new gavel…! I am often busy with Miss Zargoza in chambers at these times, she is the clerk to the court of course. Cross dressing in the courtroom !? From time to time? Like Cicciolina becoming a minister – kinda says it all, no? Oh dear, thank you for reminding me Carlo, Signora Staller, Partito radicale. It doesn’t become more radical than a Hungarian pornstar as a member of pairlament i guess, only in Italia. Max didn’t pick up his mobile—no signal. So I called the house phone for you, Mrs. Mosley said he was already waiting downstairs in the dungeon. Don’t forget to block the camera that Flavio has secretly installed, something Max forgot the first time ’round. It’s actually a biblical reference, Abraham (or Izaak) younger son pretended to be his elder brother with goat skin on his arms. What an F1 site this is!!! It looks nice 🙂 I hope it is true though, it would be great if Williams can have proper funding again and move back up the grid again. Legit or fake, it’s CRAZY how much they charge for ostensibly licensed official merchandise! That stuff costs pennies on the dollar to produce in China and they’re selling it for a crapload! We F1 fans are so stupid sometimes!!! Whoops! In your report on the departure of Luca Furbatto you say: “Could this be as a result of an internal power struggle between him and James Alison” – not very likely as James Allison works for Ferrari! You probably meant James Key?! Your Honor, please embed actual Twitter tweet code, not jpegs of Tweets!! btw: Hamilton’s logo is STILL fugly!